Photo: Alarm clock displays 10:29 a.m. at 10:35 a.m.
Electric clocks across large parts of Europe are running nearly six minutes behind as a result of a political dispute between Kosovo and Serbia, which is causing small power deviations in the electric grid. The Continental European Power System, which is a large synchronized area encompassing 26 countries, normally has a standard frequency of 50 Hz. By keeping a stable frequency, it prevents damage in large electrical machines and allows accurate time-keeping. The problems began when Kosovo used more electricity than it generates. Serbia, which does not recognize Kosovo’s unilateral secession but is legally obliged to balance the territory’s grid, failed to step in as required. ENTSO-E, which represents transmission system operators across Europe, said in a statement that the missing energy amounts to 113 GWh since mid-January. This has caused the grid’s electric frequency average to fall slightly, to 49.996 Hz. As a result, electric clocks which count 50 oscillations in alternating current to determine that a second has passed are now running a few minutes behind. As of Thursday morning, electric clocks were running 5 minutes and 46 seconds late. Devices which may be affected include alarm clocks, oven clocks, or clocks which are used to program heating systems. 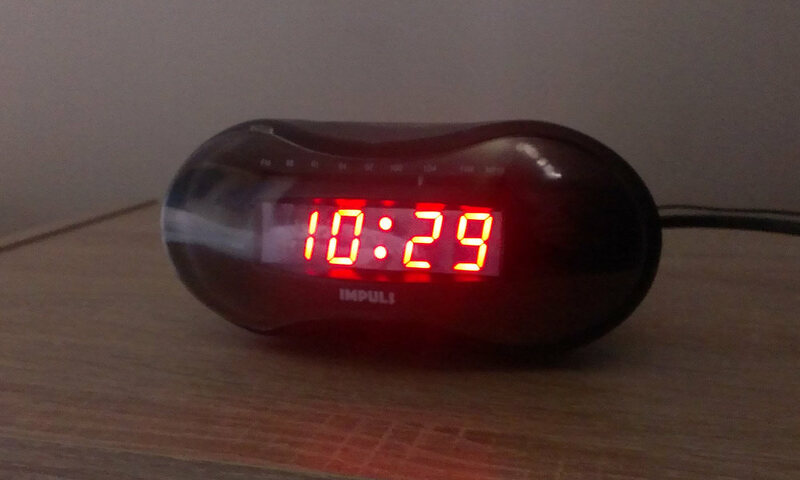 Clocks that use a quartz crystal or digital devices such as smart phones and computers are not affected. But the issue may also affect other systems. Warning sirens across large parts of the Netherlands failed to wail during a monthly test because the system requires the siren’s internal clock to match to the system time, with a maximum deviation of only a few minutes. The system remained partly down on Thursday morning. “This average frequency deviation, that has never happened in any similar way in the Continental European Power system, must cease,” ENTSO-E said in a statement, adding that it was exploring technical options to address it. ENTSO-E said it may take several weeks for the issue to be resolved. In the meantime, people may choose to manually move their electric clocks 6 minutes forward until the issue is resolved, at which point those clocks will have to be moved back 6 minutes. People may also choose to wait as electric clocks will automatically return to the accurate time when the issue has been resolved. The countries affected are: Spain, Portugal, France, Italy, Luxembourg, Belgium, the Netherlands, Germany, Austria, Switzerland, Poland, the Czech Republic, Slovakia, Hungary, Denmark, Slovenia, Croatia, Macedonia, Serbia, Montenegro, Greece, Albania, Bosnia and Herzegovina, Romania, Bulgaria, and Turkey.